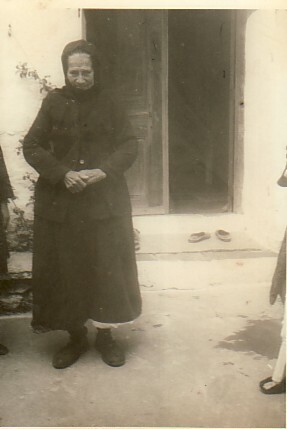 Above: Her maternal grandmother, Anastasia Patselli. Above Right: Family. 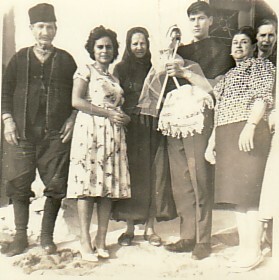 L-R: her maternal grandfather, Panagiotis Patsellis; Rinoula Kyriazi; her maternal grandmother, Anastasia; her brother, Nikolaos; unknown; and her mother, Maria. 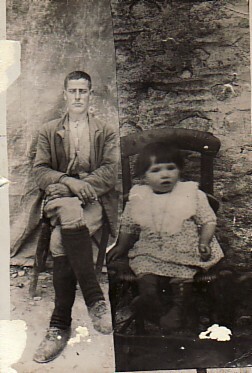 Above: Her father, Efstratios, and Efstratia herself- as a young child. 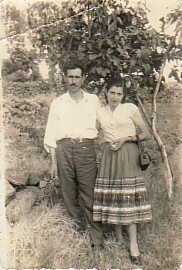 Above Right: Her parents, Efstratios and Maria. Above: Family. 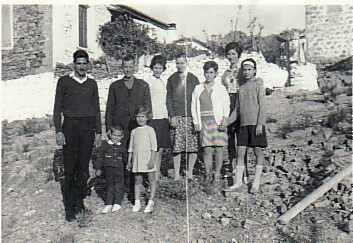 L-R: her brother, Nikolaos; her father, Efstratios; her sister, Anna; her mother, Maria; and horiani and children. 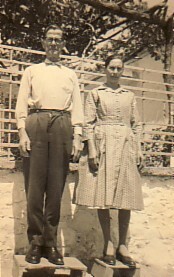 Above Right: An engagement photograph with her fiance, Ioannis. 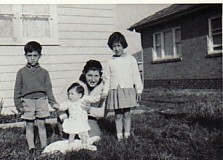 Above: With her children, Paraskevas- who she is holding- and Ioanna, and a child from neighbourhood. 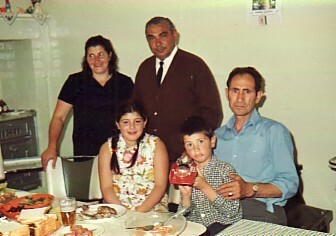 Above Right: With her husband, Ioannis, their children, Ioanna and Paraskevas, and Panagiotis Loustous (standing).